Bali Artisan Panels - Fish & Coral Add some elegance and culture to your home with our range of Bali Artisan Panels. These exquisite wall panels are hand-carved by Balinese artisans. 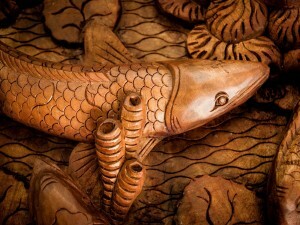 Carved by hand from Champa wood bringing each detail to life in a three-dimensional work of art.